The cuddle Baby rug by Bukowski is extremely soft and offers a lot of gripping area for babies. 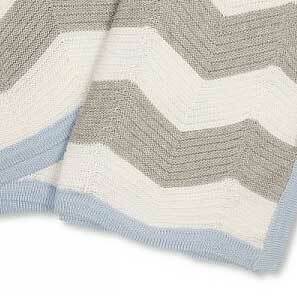 We add a knitted Baby blanket with a nice stripe pattern and a blue hem. 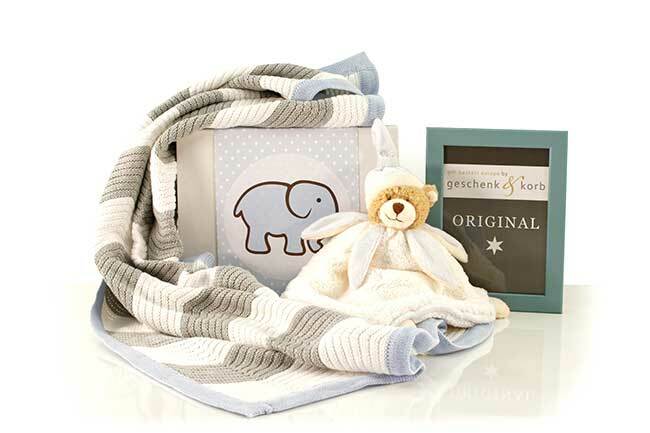 Beautifully packed in a nice gift box suitable for newborn boys. Decoration as shown in the picture! 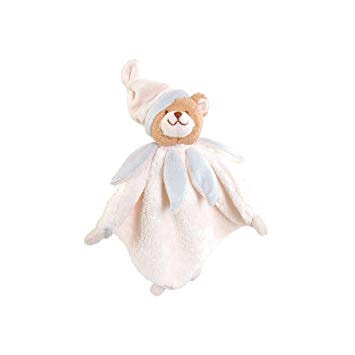 Especially for the little ones, stuffed animals are more than just toys. They become close confidants, faithful companions and are always there. That's why Bukowski Design's baby collection pays special attention to selected, high-quality materials that are skin-friendly. The eyes as well as mouth and nose are sewn and thus also for infants harmless. There are no small parts on the stuffed animals that could be swallowed. 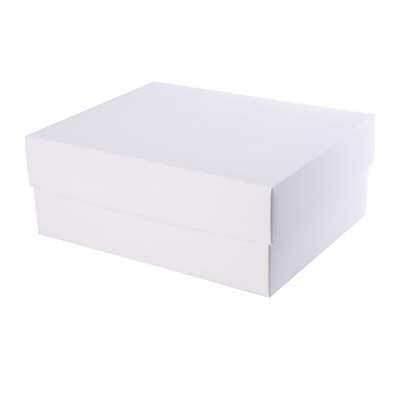 All materials used comply with EU standards.